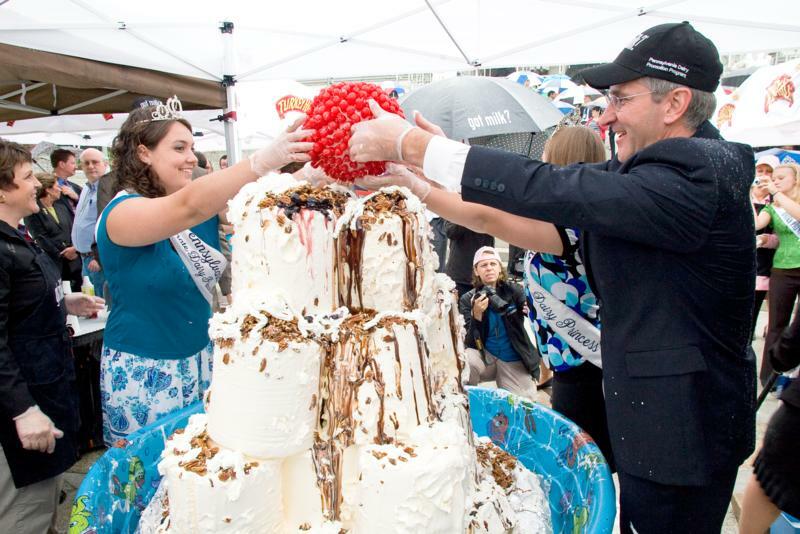 Pennsylvania Agriculture Secretary Russell C. Redding (R) and Alternate PA Dairy Princess Karla Stolzfus of Bedford County (L) place a cherry on the top of a giant sundae created on the steps of the capitol building. The sundae was created to celebrate Dairy Month during June. 'Highway-speed' tolls hasten travel on Turnpike 43 between Route 51 and I-70. 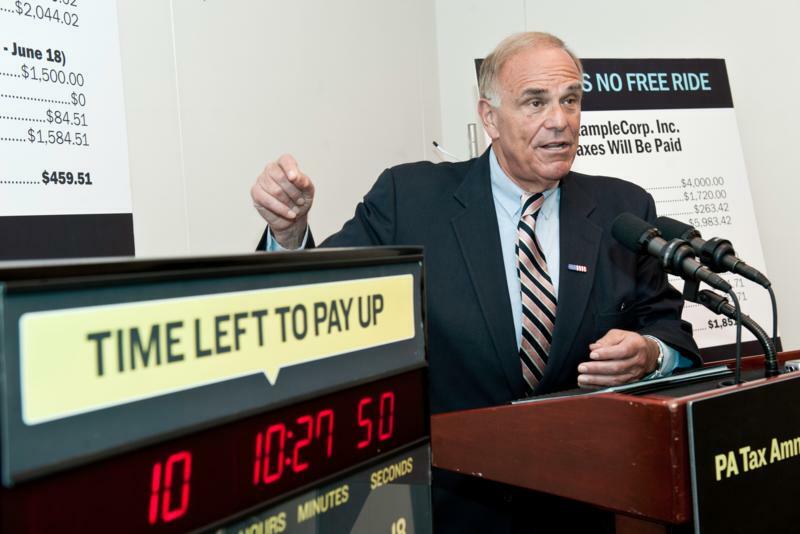 Governor Edward G. Rendell announced today that tax delinquents have only 10 days left to take advantage of PA's Tax Amnesty program, which waives all penalties and half the interest for anyone who pays delinquent Pennsylvania taxes by June 18. 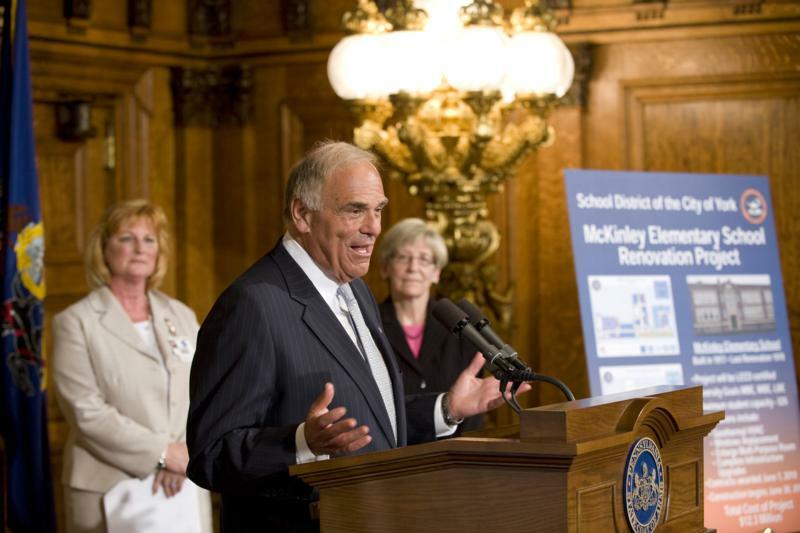 Dozens of school districts across Pennsylvania will get a funding boost for a wide range of new construction projects, with attractive financing that will save hundreds of millions of dollars, Governor Edward G. Rendell announced today. Settlement Reached with BlueGreen Corp.
To mark the 1st anniversary of the PA Sunshine Solar Rebate program, DEP Secretary John Hanger presents a ceremonial check to Sally Kauffman, of Hatfield, Montgomery County, whose home PV system, was designated to be the 1,000 project completed. 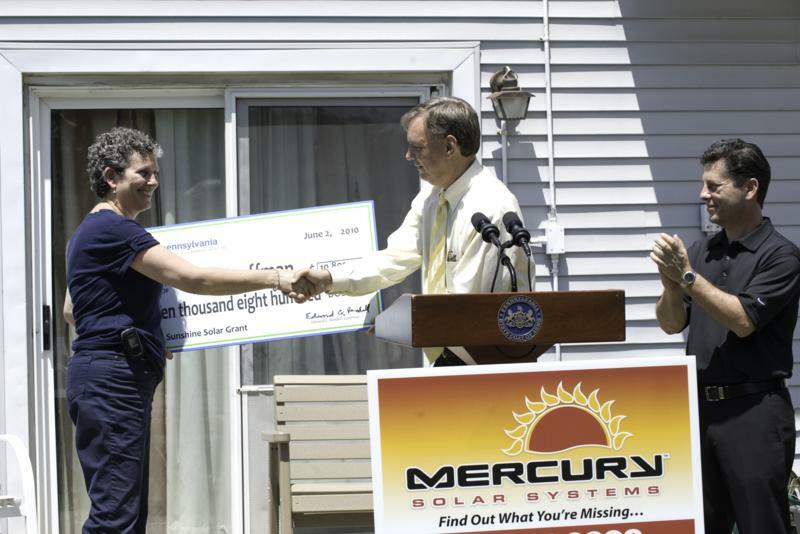 Also president in the photo is Andrew Kleeman, Philadelphia area Manager for Mercury Solar Systems. 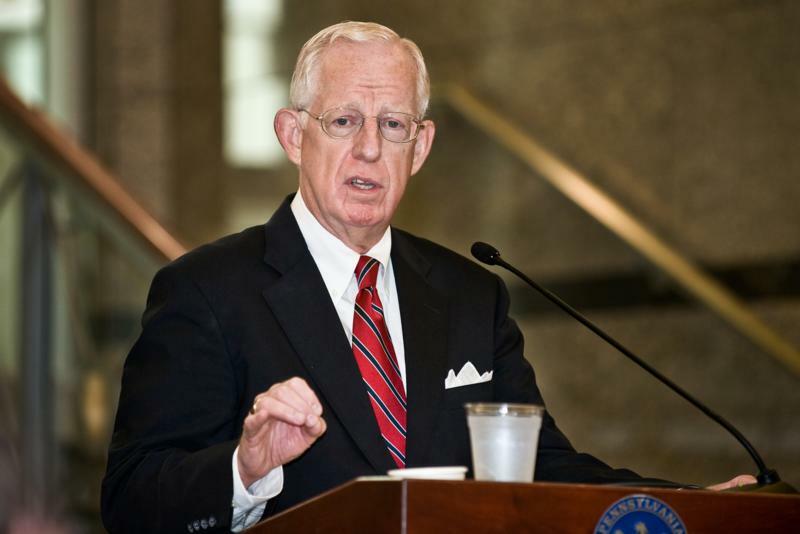 A video orientation that offers a historical perspective and outlines the role, responsibilities and vision of the Pennsylvania Gaming Control Board. The Interbranch Commission on Juvenile Justice today adopted its final Report on failures in the juvenile justice system of Luzerne County and made a broad series of recommendations for strengthening and improving the justice system statewide.